California’s new financial aid policy will now, for the first time, offer scholarships to middle class students. Under previous policy, scholarships were available only to the state’s low-income students. The children of the state’s lawyers or dentists had to pay the full price. Perhaps the fact the state schools now have to offer financial aid to middle income people should strike us as cause for concern. Over the next month or so, an estimated 156,000 undergraduates are scheduled to be notified that they will receive tuition grants for the academic year estimated to be as much as $1,450 for UC students and $650 for Cal State, with smaller amounts for more affluent families in the eligible range. The assistance is an attempt to help middle-class families that earn more than $80,000 and typically aren’t eligible for the federal and state grants that cover much or all of the tuition for lower-income students. The new aid will come from the state (though in California this is never entirely a sure bet) and should increase over time. The awards are relatively low initially but could more than triple over the next three years and cover between 10% and 40% of UC and Cal State tuition on a sliding income scale by 2017 — if promised state funding comes through. The article features a UCLA student, Madison Acampora, from a family living in a San Diego suburb with an annual income of almost $100,000. “This makes me very happy,” Acampora told the LA Times, “even if it just helps cover my books and supplies.” Her family already has extensive loans from sending her sisters to college. 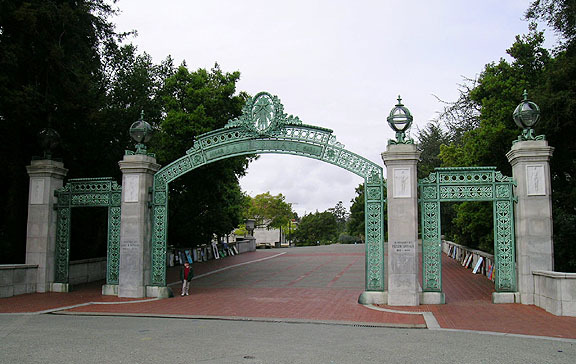 Under California’s 1960 Master Plan for Higher Education, the University of California system would accept the top-performing high school students, California State University would accept the lower-performing students, and community colleges were available for everyone else. All of this was essentially free. State colleges are supposed to be affordable to everyone. That’s why they exist.